The SELECT Accessible Through-Wire (ATW) concealed geared continuous hinge has a fully integrated electrical prep design. There are no cuts or panels to compromise its performance or integrity. 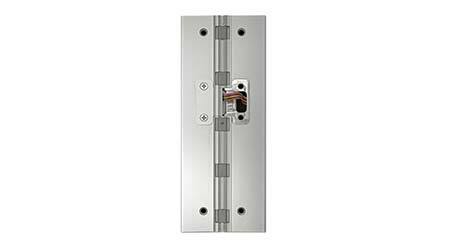 Simply remove the cover plate to access the recessed wires if repairs are needed. Molex connectors speed up hinge installation. Available in ten geared continuous models with 4-pin, 8-pin, or12-pin connectors. Extra-long leads are available as needed.